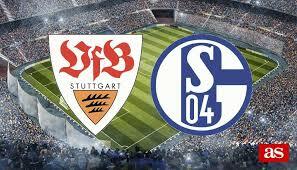 Stuttgart hosts Schalke 04 in a game from the 17th round of the Bundesliga. Let’s take a look at this clash at the Mercedes-Benz-Arena in the city of Stuttgart. Right now Stuttgart are 16th in the Bundesliga standings with 14 points, being positioned at the relegation playoff spot. Surely they’d want to escape this position as soon as possible. Right now they have a record of two wins and three losses. In their last match Stuttgart suffered a 0-2 defeat against Wolfsburg at the Volkswagen Arena. Wolfsburg’s two goals in the game were scored by Josua Guliavogui and Wout Weghorst. Generally speaking, it was a bad day for Markus Weinzierl’s team. His boys underperformed and didn’t show much of their qualities. Schalke 04 on the other hand are 14th in the Bundesliga standings with 15 points won so far – just one more than Stuttgart. The Royal Blues are not showing their levels from the last season, when they finished second in the Bundesliga and qualified for the Champions League. This season Schalke managed to qualify for the 1/8-finals of the Champions League, but in the Bundesliga they are not doing very well. So far Schalke’s record in the league shows 4 wins, 3 draws and 9 defeats, which explains very well why they are in this position at the moment. In their last five games they managed to win just once – against Nurnberg. They also made two draws and suffered two defeats. In their last game the Royal Blues suffered a 1-2 loss against Bayer Leverkusen at the Veltins-Arena. Aleksandar Dragovic and Lucas Alario gave Leverkusen a good advantage, while Haji Wright’s goal for Schalke was not enough for the home side. These are our thoughts about the clash between Stuttgart and Schalke 04 in the Bundesliga. Good luck!